Recorded live at our 2008 Desert Winds event! 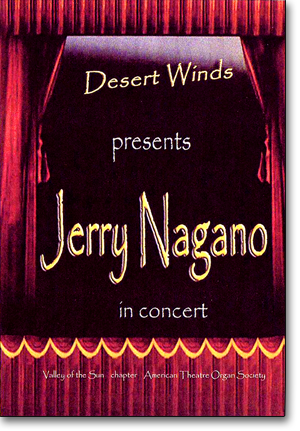 Jerry Nagano plays the Wurlitzer in the beautiful Phoenix Orpheum Theatre in this live video recording from our Desert Winds 2008 event. You're sure to enjoy this unique DVD.